It's been a long time coming, but the remake of Dune is finally underway. And today's announcement from Legendary Entertainment also confirms that a TV series will go into production in the near future. Legendary has released a PR detailing their agreement with the Frank Herbert estate. The movie and TV show are being made with a global audience in mind. Here is the full press release for the upcoming projects. Set in the distant future, Dune tells the story of Paul Atreides whose family accepts control of the desert planet Arrakis. As the only producer of a highly valuable resource, control of Arrakis is highly contested among the noble families. After Paul and his family are betrayed, the story explores themes of politics, religion, and man's relationship to nature as Paul leads a rebellion to restore his family's control of Arrakis. 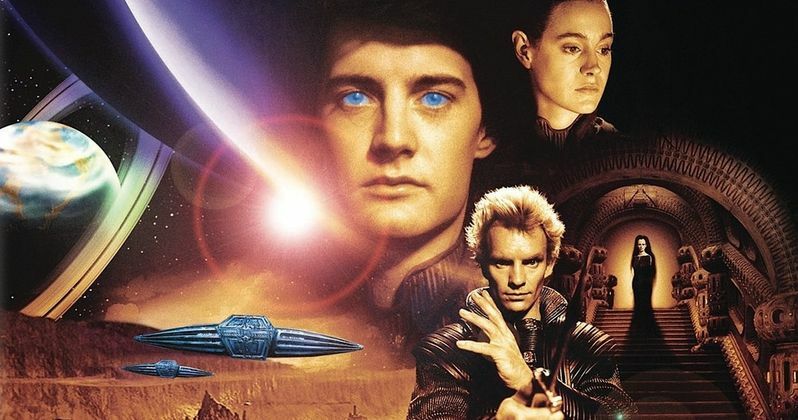 Dune has long been considered the crown jewel of science fiction properties. Its legacy and influence is witnessed in everything from Star Wars to Te Matrix and often referred to as the science fiction version of Lord of the Rings with its sprawling world and multi-dimensional politics. The agreement was negotiated by Mike Ross and Jen Grazier on behalf of Legendary and Marcy Morris and Barry Tyerman of JTWAMMK on behalf of the Herbert family. Legendary Entertainment is a leading media company with film (Legendary Pictures), television and digital (Legendary Television and Digital Media) and comics (Legendary Comics) divisions dedicated to owning, producing and delivering content to worldwide audiences. Legendary has built a library of marquee media properties and has established itself as a trusted brand which consistently delivers high-quality, commercial entertainment including some of the world's most popular intellectual property. In aggregate, Legendary Pictures-associated productions have realized grosses of more than $13 billion worldwide at the box office. To learn more visit www.legendary.com.